Much of today’s neuroscience research investigating human brain diseases and disorders utilizes animal models. Animals ranging from flies, rodents, and non-human primates are routinely used to model various disorders, with mice being most commonly utilized. Scientists employ these animal models to approximate human conditions and disorders in an accessible manner, with the ultimate purpose of applying the findings derived in the animal back into the human brain. Rhesus macaques, a species of NHP often used in research. The use of animals in research has been the source of much debate, with people either supporting or objecting their use, and objections arising from animal rights activists, proponents of critical neuroscience such as Nikolas Rose and Joelle Abi-Rached, and others. A main focus of this debate has also been the use of non-human primates (NHP) in research. The cognitive functions and behaviors of NHPs are more closely related to those seen in humans than are rodent cognitions and behaviors, thus causing primates to be held as the closest approximation of human brain functioning in both normal and disease states. Though some say NHP research is essential, others call for scaling down or even completely eliminating it. Strides have already been made towards the reduction and removal of NHPs from experimental research, as displayed by the substantial justification required to perform experiments utilizing them, the increasing efforts going towards developing alternative non-animal models (including the Human Brain Project’s goal to create a computer model of the human brain), and the recent reduction of the use of chimpanzees in research [2, 6]. A case was even brought to the New York Supreme Court earlier this year to grant personhood status to two research chimpanzees. However, if NHPs are completely removed from human brain disease research, this leaves rodents as the primary non-human animal model for the human condition. This raises an important question: are we (both the general public and scientists) okay with accepting a detailed understanding of the mouse brain as being equivalent to a detailed understanding of the human brain? Dr. Yoland Smith, a world-renowned Emory researcher in neurodegenerative disease, says no— work with both NHPs and rodent models must continue to complement and inform each other. Smith came to Emory University in 1996 and currently works at the Emory-affiliated Yerkes National Primate Research Center. 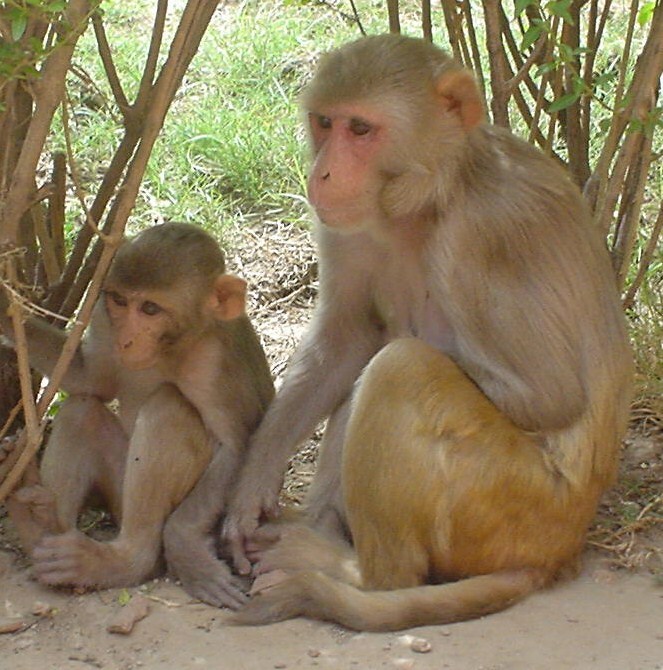 Smith’s work is 90% rhesus macaque-based and 10% rodent-based, with the aim of most of his rodent work being to fine-tune new approaches and methods to apply to his rhesus macaques. While many animal rights advocates feel it is an ethical imperative to eliminate NHP research, Dr. Smith believes there are currently more pressing obstacles to the continued use of NHPs to study neuroscience, namely the increasing regulatory constraints on NHP research and the challenges in translating rapid technology development from mice to NHPs. 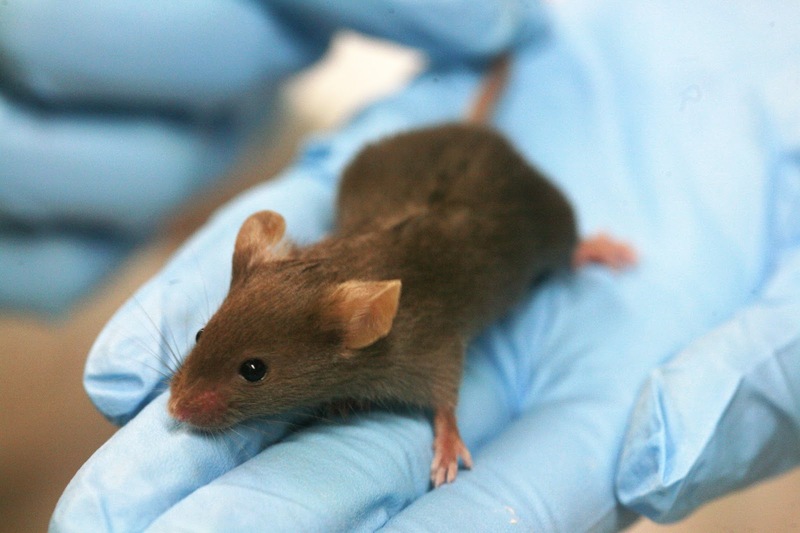 Mice are the animals most commonly used in research. For instance, the number of rodents (almost exclusively mice) utilized in biomedical research has been increasing at a dramatic pace compared with that of primates, the latter accounting for only about 0.1- 0.3% of all animals currently used in biomedical research in the United States and Europe. This is in part due to the ease of acquiring and maintaining rodent colonies as compared to NHP colonies: the cost of maintaining a mouse at Emory ranges from $0.83- $4.13 per day, while the cost of maintaining a NHP is on the range of $80-$110 per day . While ultimately rodent research is not cheap (most researchers maintain rodent colonies containing anywhere from tens to hundreds of mice, causing total per diem costs to rise rapidly), the relatively lower cost of maintenance and ease of access affiliated with rodent use have allowed for extensive experimental optimization and exploratory testing to be performed in rodents, but not in NHPs. As a result, there has been advancement and development of rodent-based technologies over NHP-based technologies, and techniques such as in vitro electrophysiology, optogenetics, and transgenic strains have been developed for use in mice. Because such techniques do not cross easily into NHP research, they are not currently available for use in the NHP brain. Consequently, new methods are continually being applied and developed almost exclusively for use in the mouse, while the needed time and money to adapt these assays to NHPs are not being spent. Scientists are thus able to dig deeper and answer more sophisticated questions about the mouse brain, while NHP research is being left in the dust. NHP research may ultimately come to an end not just because of the ethical arguments against it, but because rodent research is leaps and bounds ahead of it. This trajectory also raises questions about what role we think NHP research should continue to play in the field of neuroscience: Can NHP research ever match the pace of rodent research? Should we use NHPs at all? Can all of our questions about the human brain and human health be answered using rodent models? Smith’s answer to this final question is no. Although Smith feels rodent research produces highly valuable information, contributes to advances in neuroscience, and must continue to grow at a fast pace, he posits that it would be naïve to believe that gaining knowledge about the mouse brain is sufficient to achieve our ultimate goal of “getting to the human.” While it would be easy to say that the human brain is equivalent to the mouse brain, he states this is simply not true—particularly when examining complex brain functions and diseases that involve high-order cortical processing. For instance, rodents are often used to model many complex neuropsychiatric diseases affecting the prefrontal cortex and influenced by social and cultural components; however, there are striking differences in the size and complexity of the prefrontal cortex and other associative cortices in primates versus rodents, and animal models are unable to replicate the integral role culture plays in psychiatric disease pathology (a topic also described in a previous blog post) [1, 4]. The overly simplistic organization of the rodent cerebral cortex compared with that of humans, Dr. Smith believes, makes NHP research absolutely essential. If we hope to make significant progress toward the development of new therapeutic strategies for complex cognitive and psychiatric disorders, then there is an urgent need for the ongoing development of NHP models of such prevalent diseases of the human brain. 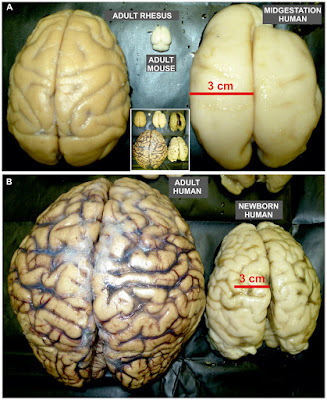 Comparative images of human, mouse, and rhesus brains. If significant strategies are not put in place by funding agencies to maintain continued support for NHP research, this parallel growth will not be possible. Smith urges that we maintain NHP research by continuing to develop technologies for use in NHPs and by generating discussions about the use and drawbacks of NHPs in neuroscience research. Smith feels that strides toward maintaining NHP research should be spearheaded by larger funding institutions, such as the National Institutes of Health (NIH). He proposes there should be a call for grant applications specifically involving NHP research as well as the formation of an NIH-based committee to discuss how we can perform NHP research in a successful way; to assess whether we, as a scientific community, are always moving toward the human; and to examine the ethical and practical limitations of using NHPs in research. Smith also encourages scientists to be proactive and unafraid to engage the community in discussions of the ethical dilemmas surrounding primate research—we cannot ignore these issues and instead must be the mediators of such ethical discussions. 3. International Animal Research Regulations: Impact on Neuroscience Research: Workshop Summary. (2012). Washington DC: National Academy of Sciences.